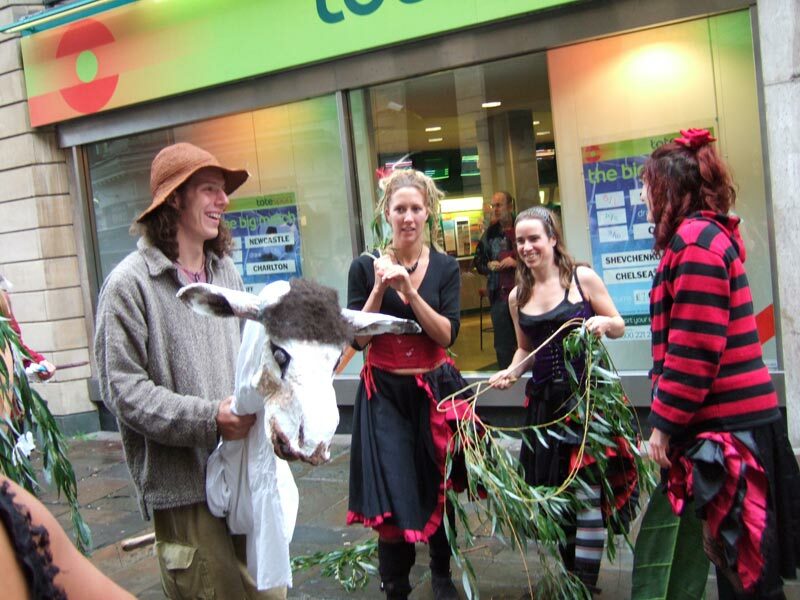 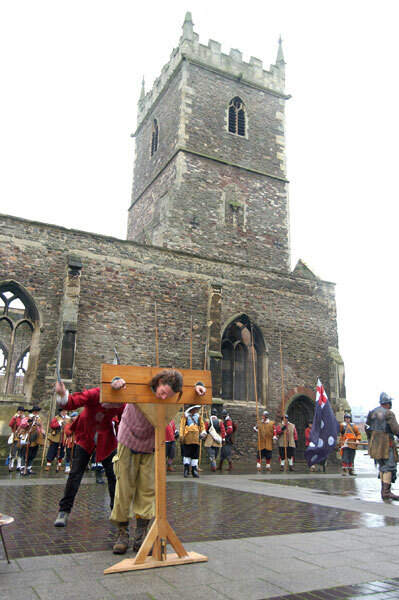 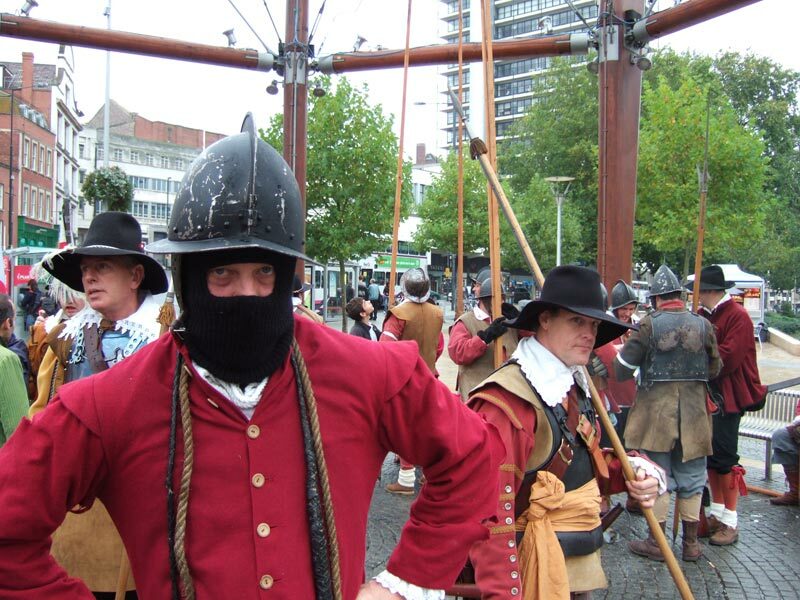 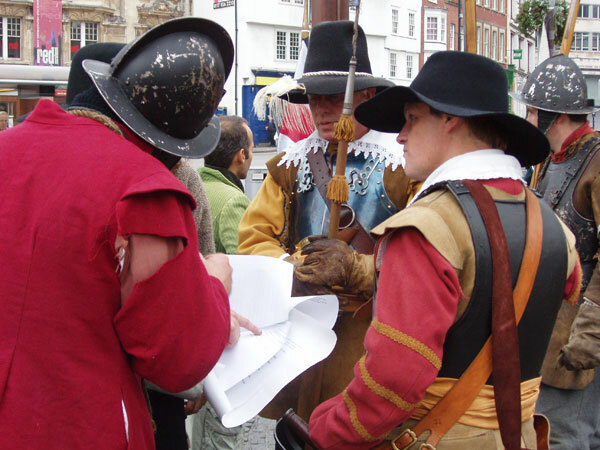 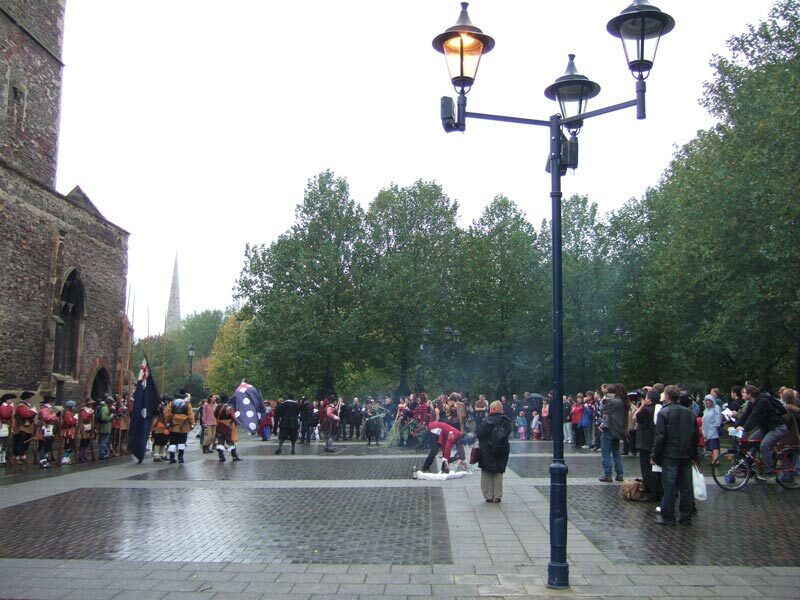 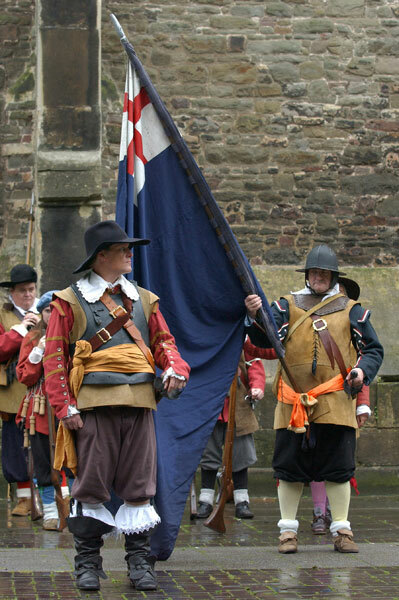 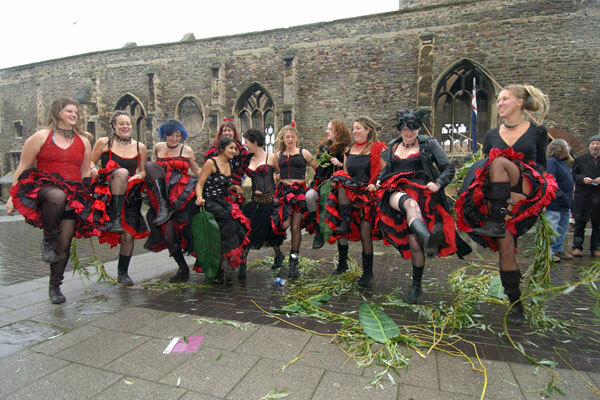 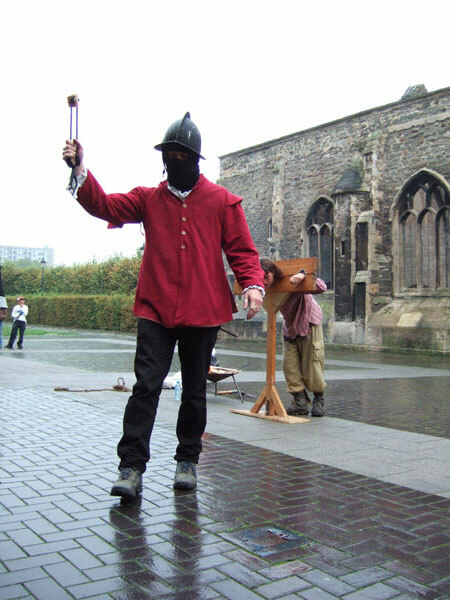 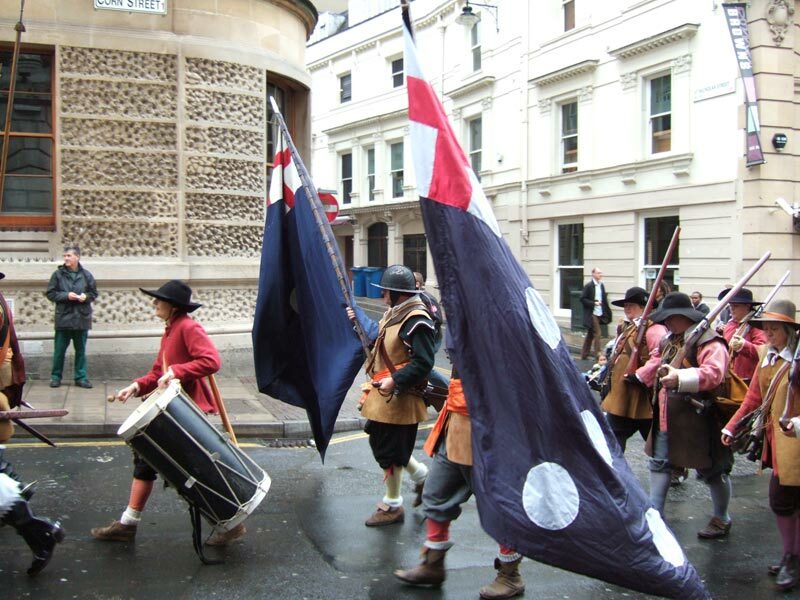 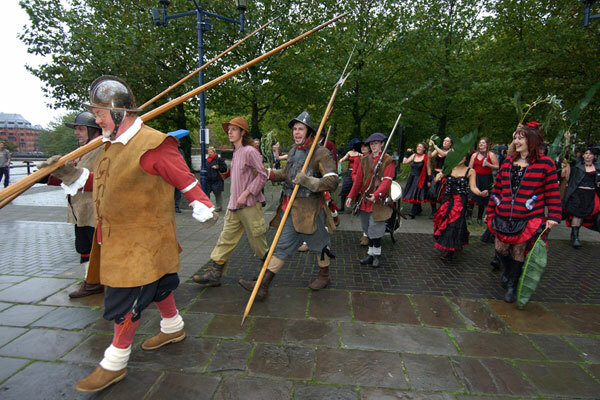 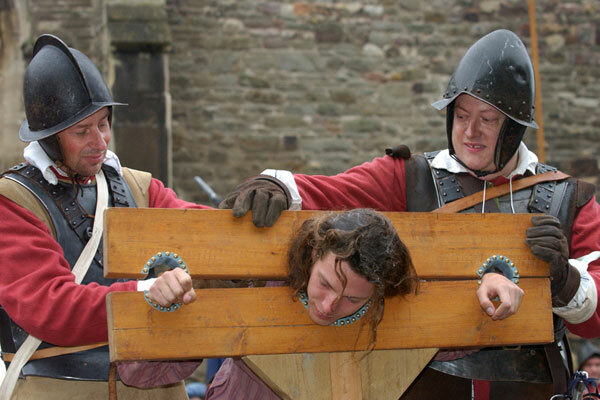 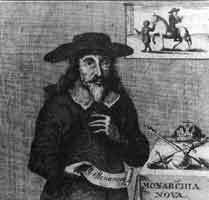 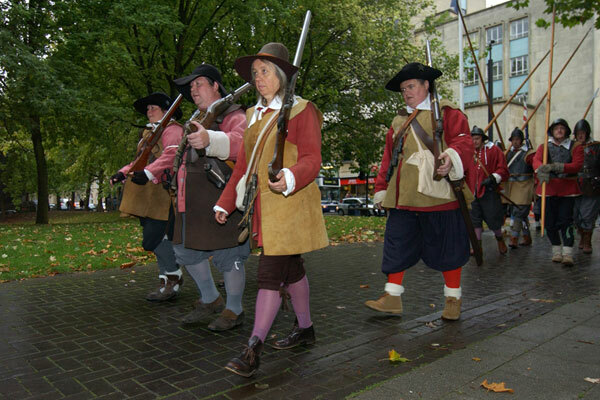 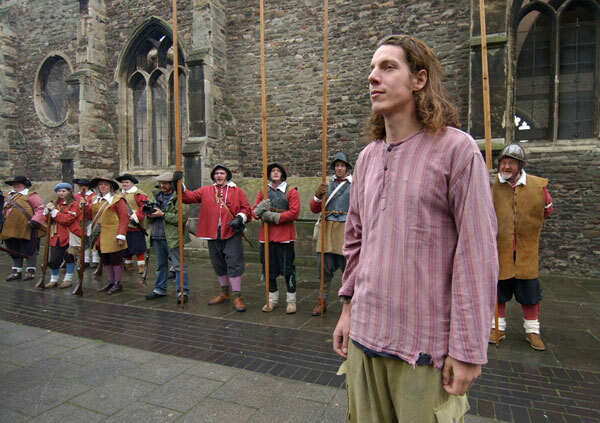 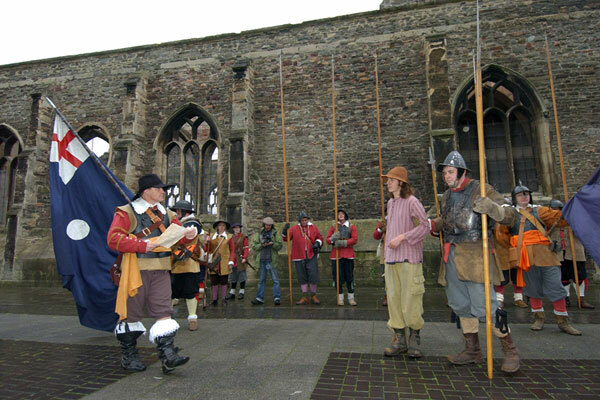 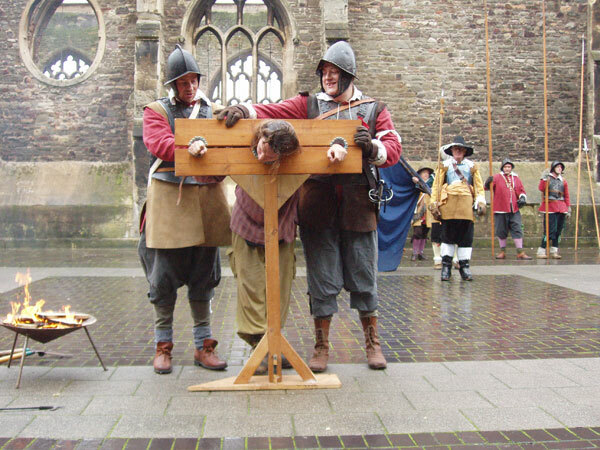 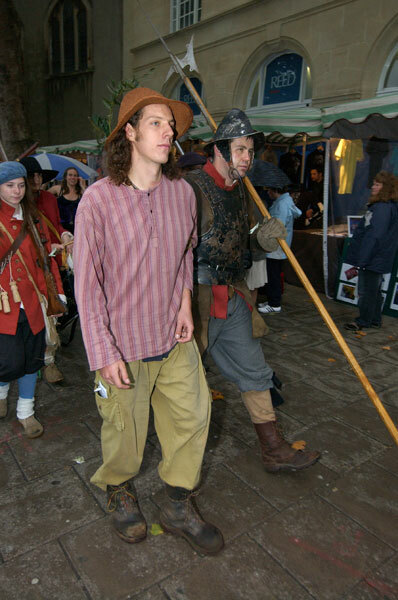 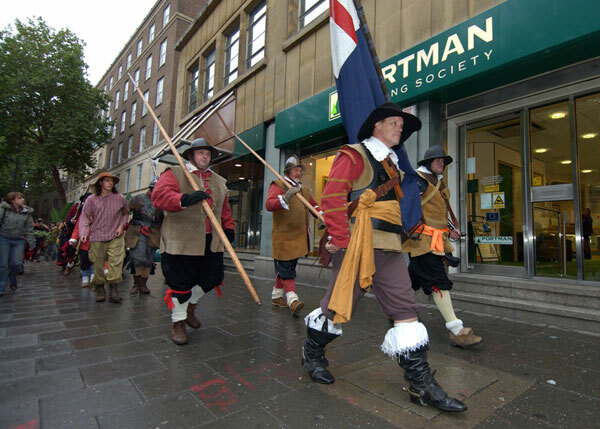 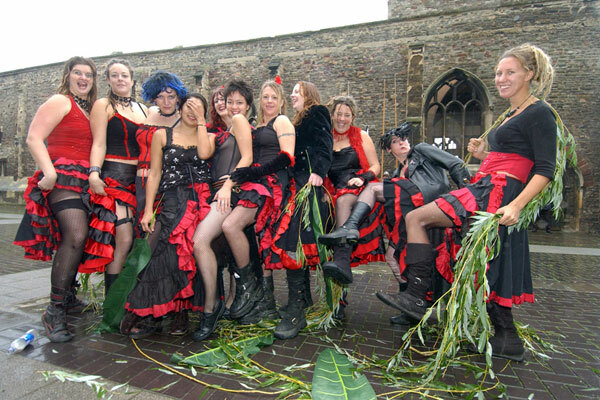 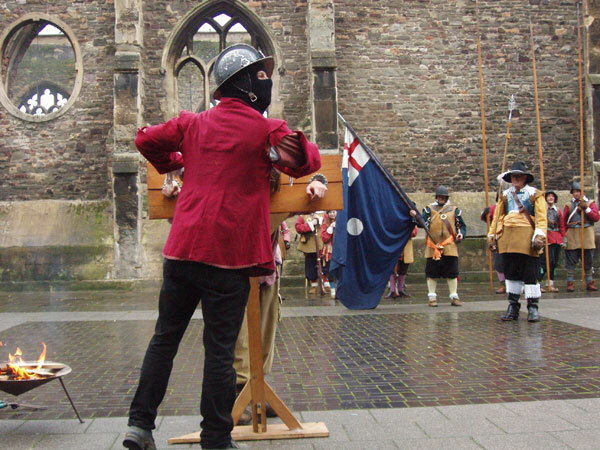 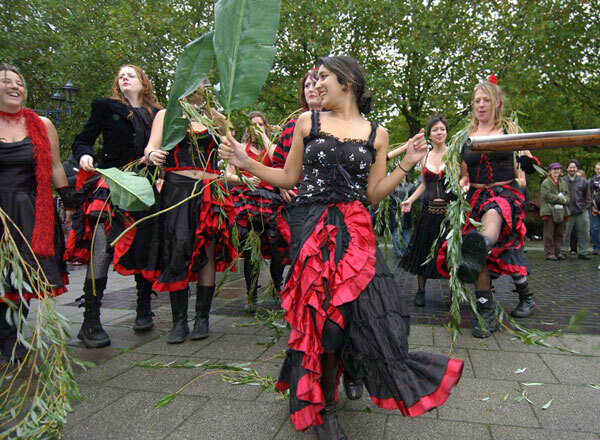 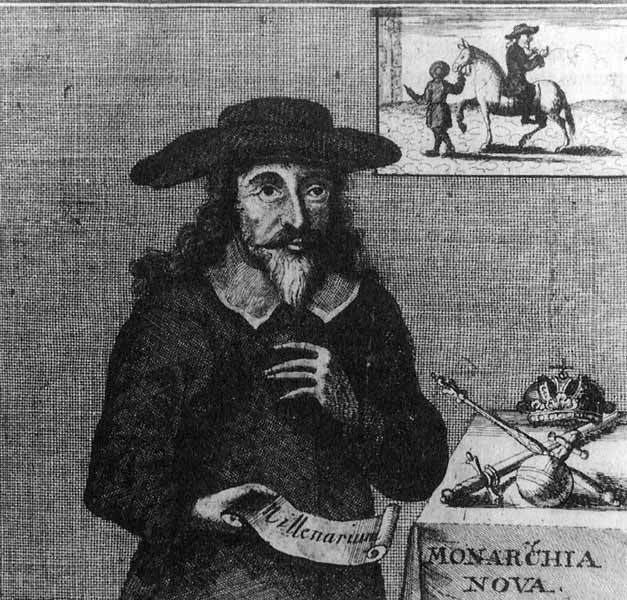 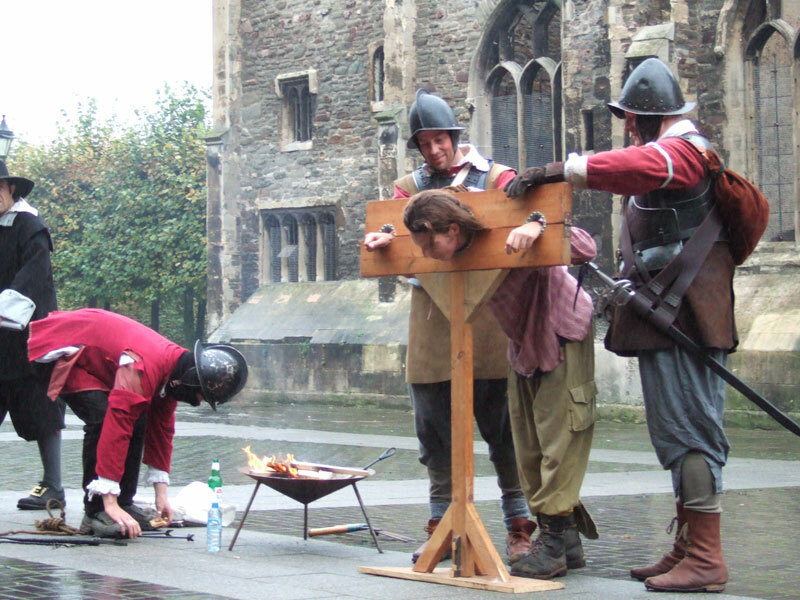 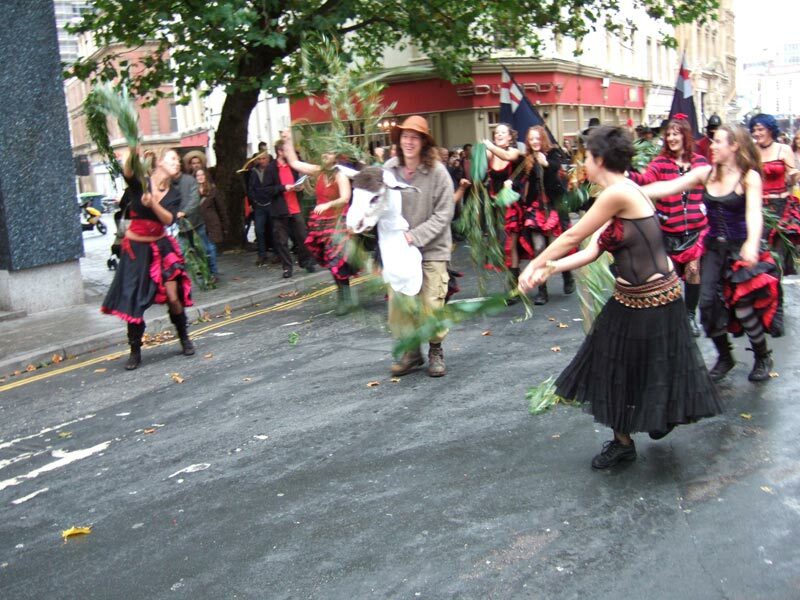 The James Nayler's entry into Bristol and subsequent trial in October 1656 was reconstructed on Saturday October 28th October as part of the Bristol Radical History Week 2006. 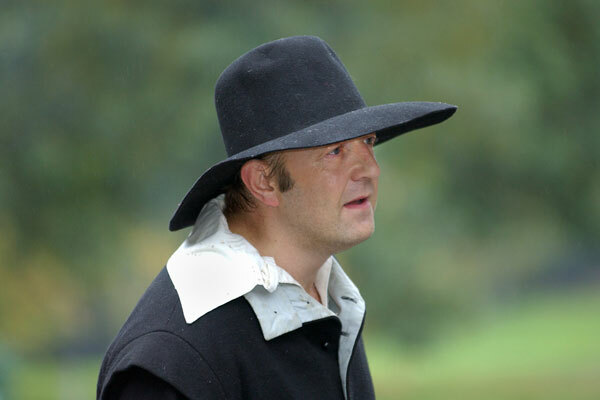 "Is not the Lord overturning, overturning, overturning?" 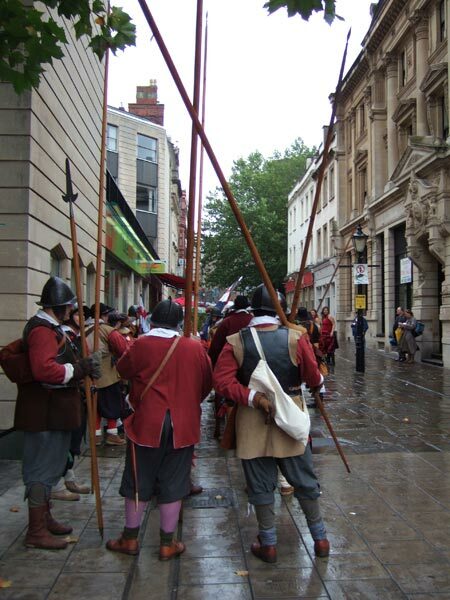 1656: On a rainy day James Nayler rode up Corn Street being hosannaed by ranting women. 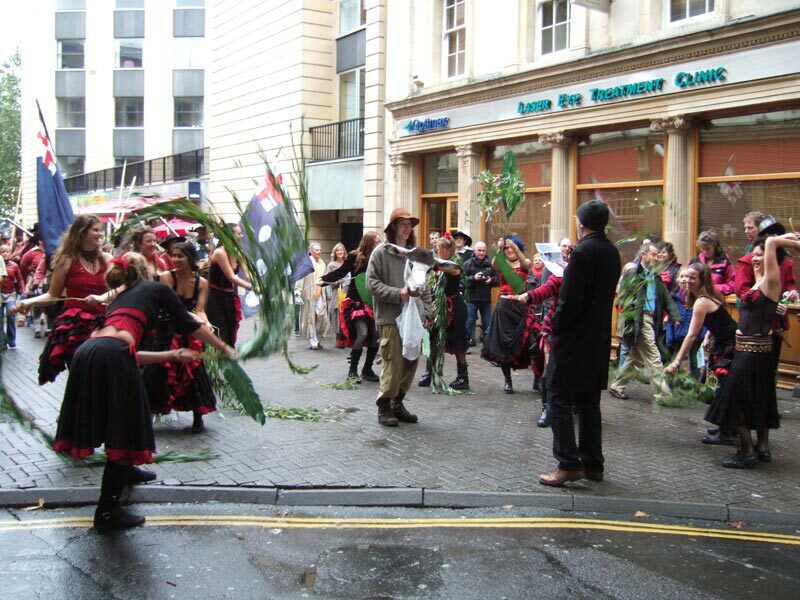 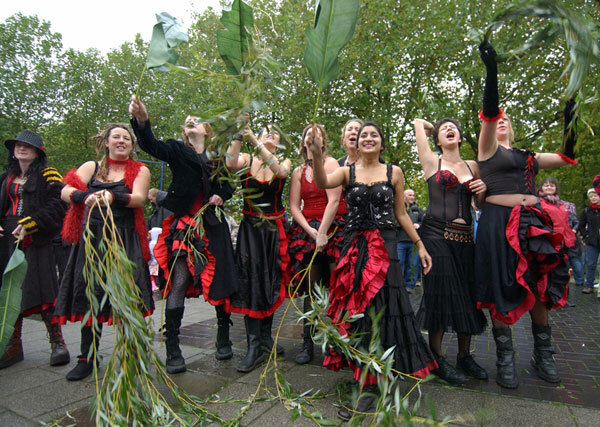 This act was intended to mimic Jesus' entry into Jerusalem on Palm Sunday. 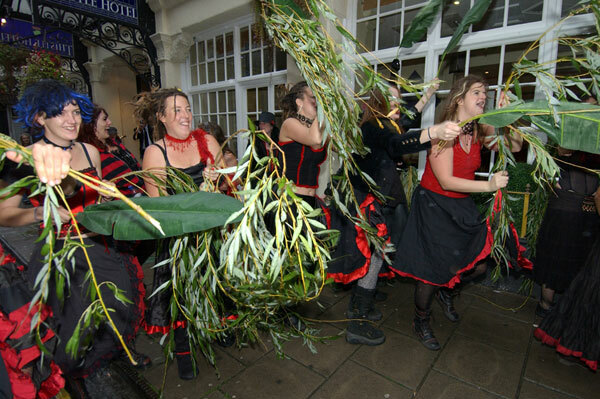 See a slideshow of these photographs by clicking here. 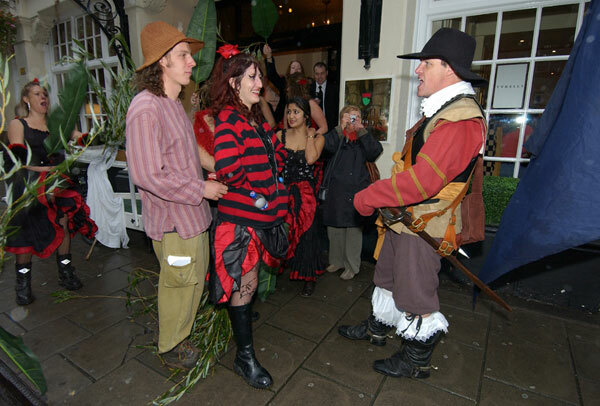 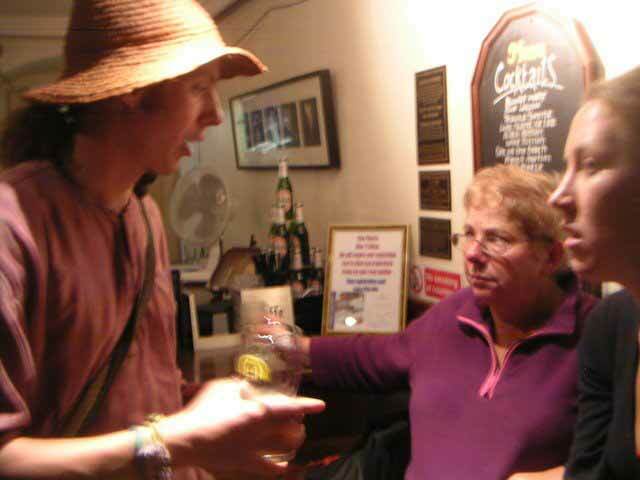 2006: James Nayler is arrested at the Thistle Hotel that stands on the site of the White Hart in Broad Street. The ranting women try their best to hamper the arresting officer's efforts. 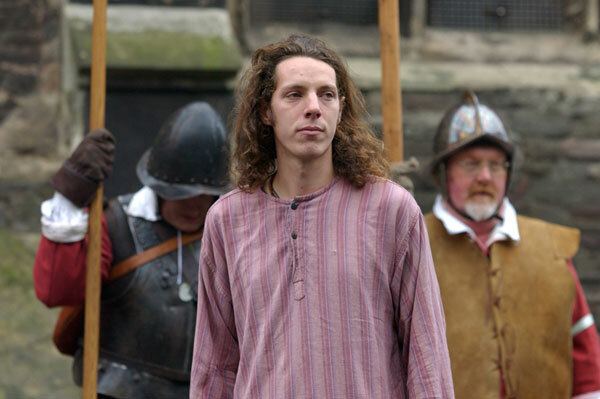 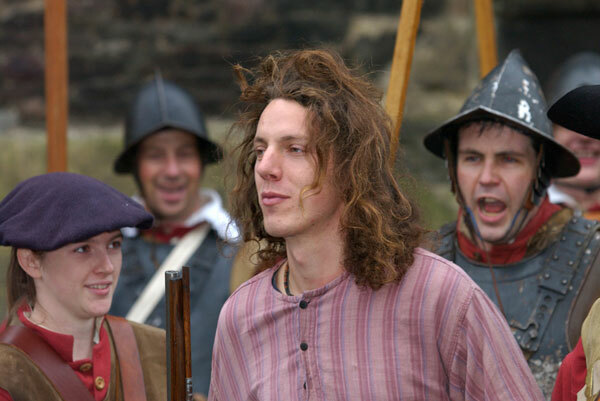 2006: James Nayler is marched to St. Peter's Square on Castle Green for trial. 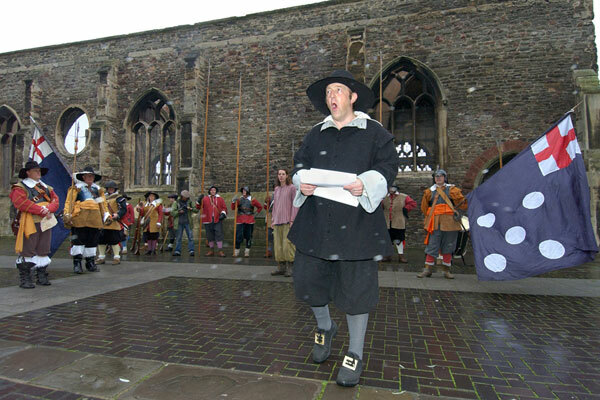 Accuser: James Nayler you are charged with 'Horrid Blasphemy' for first admitting religious worship to be paid to you and second for assuming the names, titles and attributes of the blessed saviour Jesus That you have taken the names… ' the fairest among ten thousand', the only begotten Son of God, the Prophet of the most High, the King of Israel, the everlasting Son of Righteousness and the Prince of Peace. 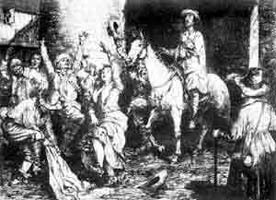 Judge: Art not thou the man that rode on horse back into Bristol with these women singing 'Holy, Holy, Holy Hosannah' Nayler: I did ride into a town, its name I know not and the spirit did command these women to cast down their clothes, to sing praises to the Lord, to dance and to sing. 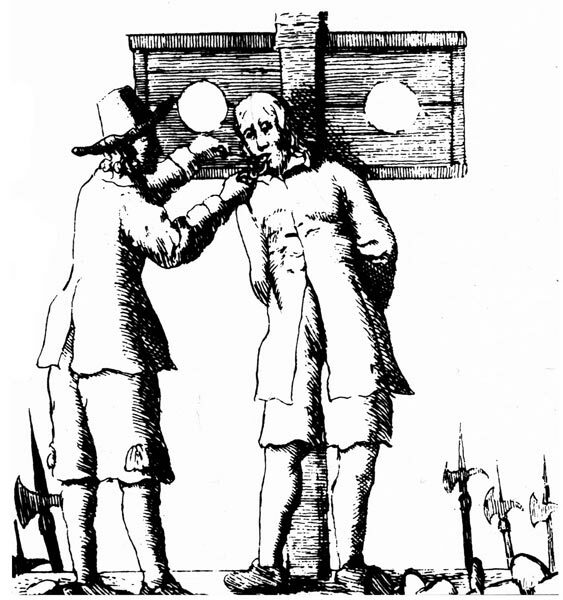 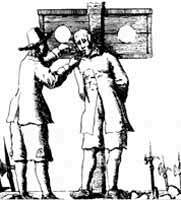 1656: James Nayler was found guilty of "horrid blasphemy", he received over three hundred lashes, a brand of the letter B (for blasphemer) on the forehead, and finally received a red-hot iron through his tongue. 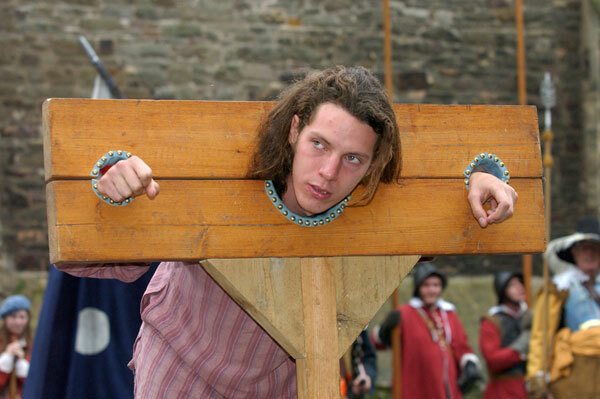 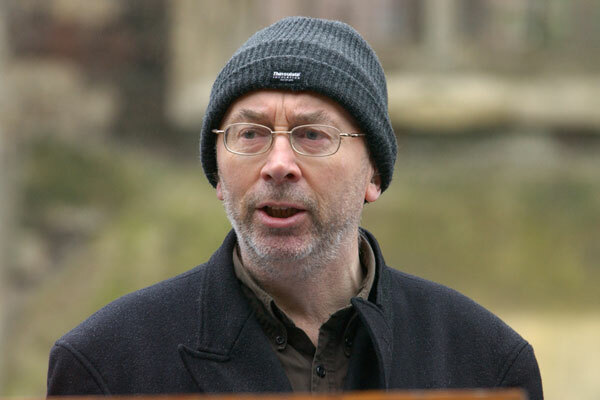 2006: James Nayler is found guilty of "horrid blasphemy" before being lashed, branded and having his tongue bored.